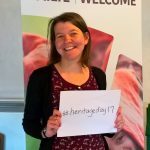 Rosie from our Designations Team explains why we’re reviewing the listing of thatched buildings across Scotland, from the Hebrides to the Borders. Did you know there’s a long tradition of using thatch here in Scotland? Thatch as a roofing material can be traced back to prehistoric times! In some rural areas, it remained the most common domestic roofing material until the end of the 19th century. We also have one of the most diverse ranges of thatching materials and techniques found in Europe. As each community used materials gathered close to home and techniques suited to the weather conditions, distinctive local traditions emerged. Today though, the number of traditional thatched buildings is decreasing. The reasons for this are complex and numerous. They are linked to changes in land use, housing and rural populations, as well as the availability of skills and materials. 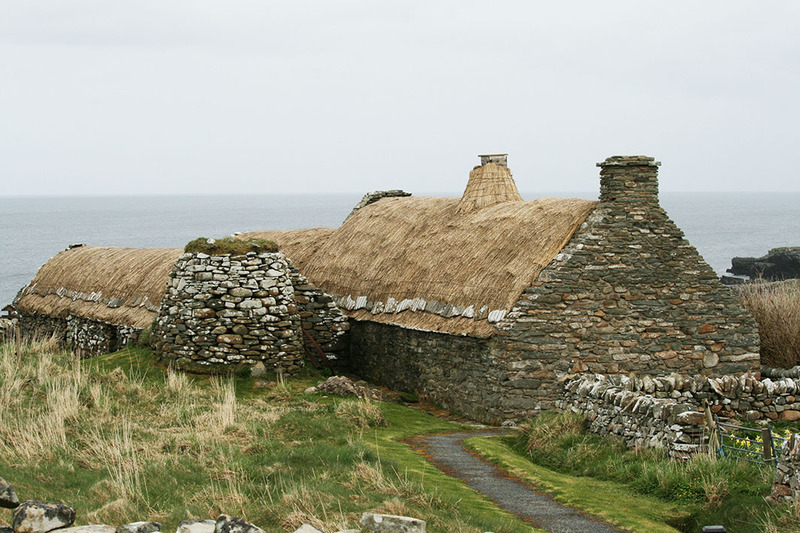 There are now only around 200 buildings with thatched roofs in Scotland. 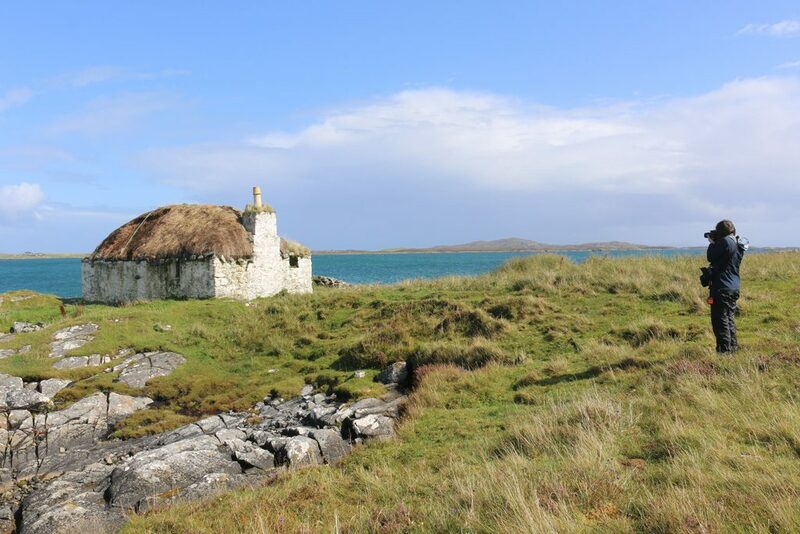 The Western Isles has a significant number of surviving thatched buildings compared to the rest of Scotland. Almost one in five of the listed buildings in this area is thatched. The tradition of thatching survived for much longer in this region than the rest of Scotland and thatched buildings continued to be built here into the 20th century. Some of these buildings can be found in Ruisgearraidh, the largest settlement on the island of Berneray. Located around Loch Bagh, on the east side of the island, Ruisgearraidh is a haven from the Atlantic Storms and a natural location for its harbour, which attracted significant numbers of settlers in the past. Many of these buildings are no longer in use and so the thatch is deteriorating. These buildings are still important as they often show traditional building and thatching techniques. There has, however, been a growing interest in the re-use of traditional buildings and a number of have been restored and are now used as holiday lets. 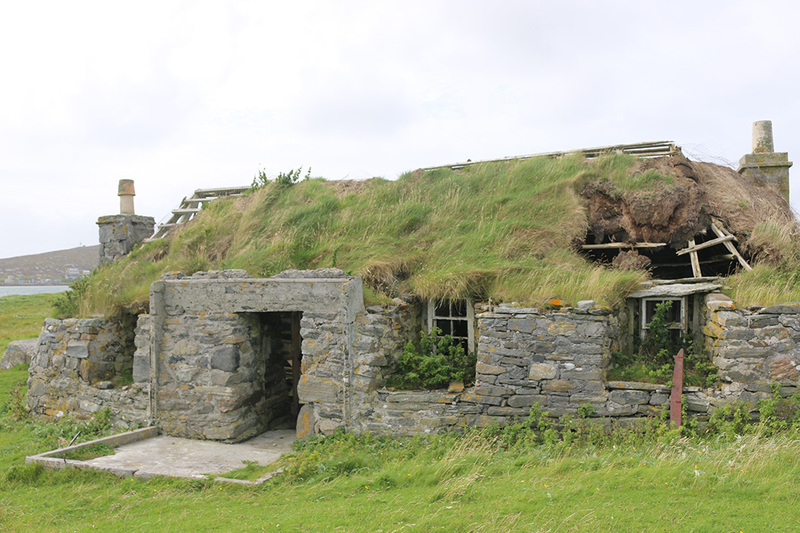 Thatched buildings at Ruisgearraidh are typically single-storey, with a kitchen at one end and a bedroom at the other. The straw or marram thatch is fixed by a lattice of ropes and now nets or chicken-wire which is secured by stones. You might not normally think of our cities having thatched buildings, but tucked away just outside Edinburgh is a unique collection of 18th century thatched cottages. Located at the base of Caerketton Hill and largely hidden from view by woodland, Swanston is one of Edinburgh’s most picturesque villages and has remained largely unaffected by the expansion of the city. The thatched cottages are the earliest buildings in the village and are arranged to form two sides of a square with a village green in the centre. At the end of the Second World War the cottages were very basic, with earth floors and no water and electricity. By 1954 they had fallen into a bad state of repair. Between 1959-62 the nine cottages were converted into seven renovated dwellings. 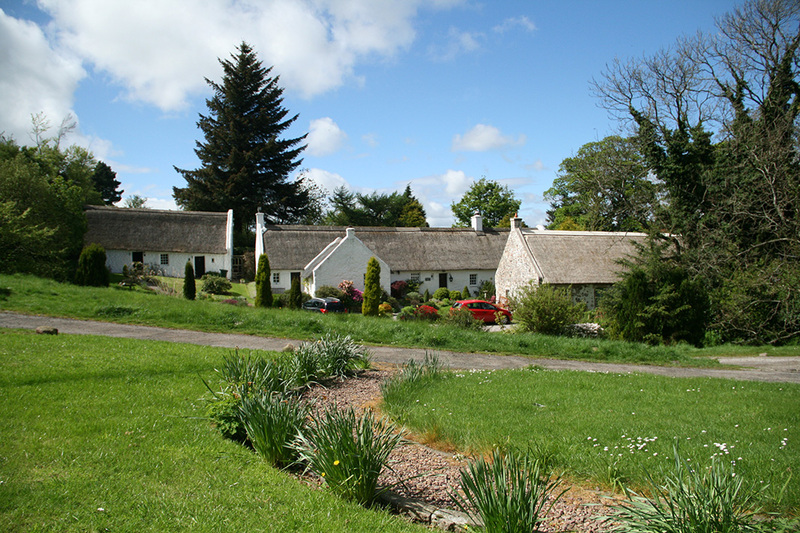 Many of the cottages still have reed thatch from the River Tay, and the concrete ridges date from the restoration. This museum at South Voe is a restored 19th century Shetland small-holding or farmstead. These were once numerous across the highlands and the northern isles of Scotland but are now extremely rare. There is a crofthouse with its associated farm buildings including a circular grain-drying kiln, a byre (cattle-shed) and a walled kailyard (kitchen garden). The buildings date to around 1850 and were used until the late 1960s. In the 1970s, they were restored and fitted out as a museum. Thatched buildings in Shetland are usually single storey and made up of two or three rooms and thatched with black oat straw. The low, curved form of the roof allows the wind to travel over the roof easily. This reduces the noise inside the building as well as potential damage to the roof in high winds. A flagstone is tied to the net or ropes across the roof and neatly weights the thatch at the eaves. The Shetland Crofthouse Museum also has an unusual thatched chimney stack. Inside, the buildings have been restored with salvaged material where possible and they have timber box beds, a peat fireplace and animal stalls. The museum is open to the public seven days a week from 1 May to 30 September. We’re continuing to look at ways in which thatched buildings, and other vernacular heritage, can be better recognised, protected and managed. In the Designations Team, we’re undertaking a review across the country of buildings which are thatched or are recorded as once having been thatched at the time of listing. We aim to complete this in 2019. We’ll be reviewing buildings that are currently listed as well as assessing unlisted buildings for listing. As with all our designation reviews, our work involves site visits, research and consultation with owners and local authorities. If you’d like to get hands on with this type of heritage, come and see us at the Engine Shed on 25 and 26 May. You can learn more about the listing review of thatched buildings by downloading our introductory report. You can also download our Survey of Thatched Buildings.